A fairly well known sign on Islay, found next to the gate at the entrance to Ardtalla. 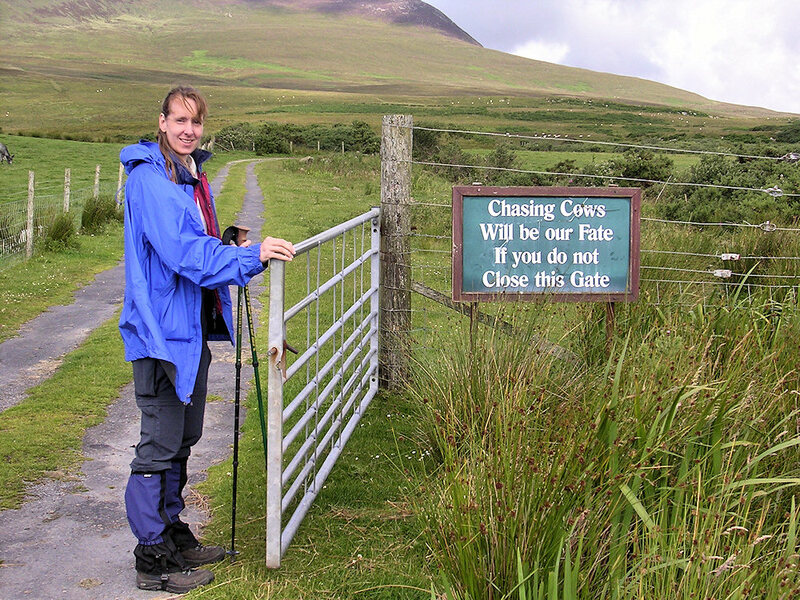 It reads “Chasing Cows Will be our Fate, If you do not Close this Gate”. Of course my sister closed the gate after we had walked through on our way to Proaig a few years ago. This entry was posted in Cloudy Weather, Landscape, Repost and tagged Ardtalla, Beinn Bheigier, Islay by Armin Grewe. Bookmark the permalink.